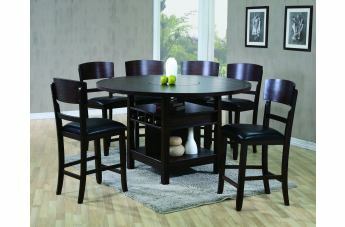 Furnish your home with the Conner dining set for a metropolitan look in your dining area. 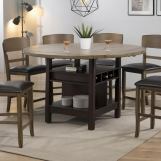 Characteristics of this striking collection include clean straight lines, an intense dark brown finish, and flared back legs. 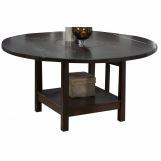 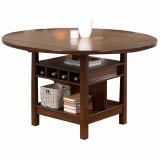 The table in this collection features convenient fold out leaves that expand the square table to a round diameter of 60 inches. 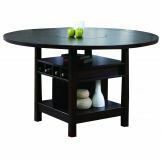 Use the two shelves below for showcasing decorative pieces and the wine storage compartments to store your most treasured wines. 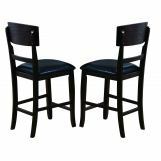 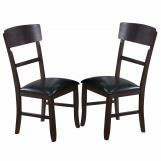 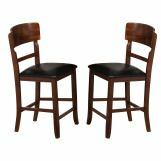 The chairs in this set have upholstered faux leather seats for maximum comfort. 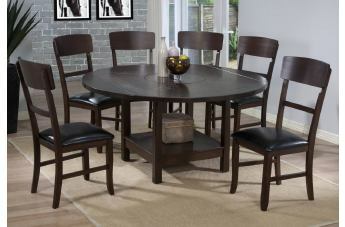 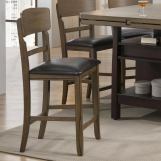 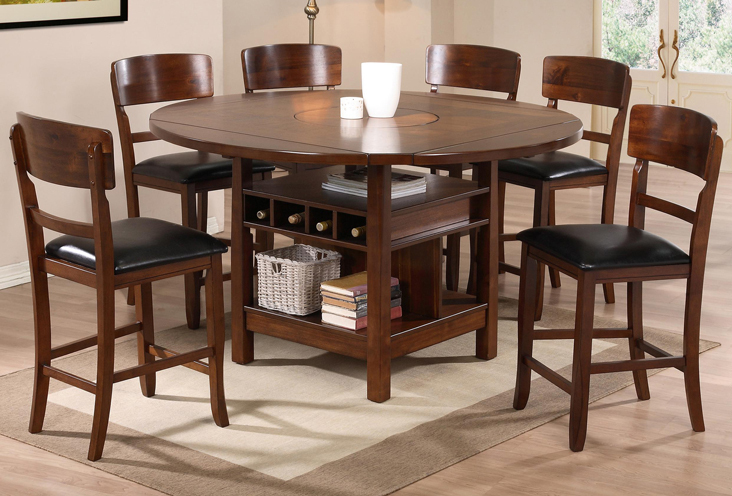 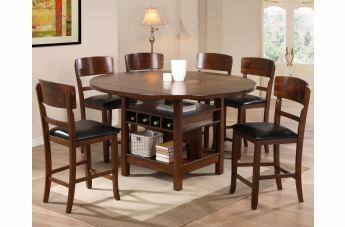 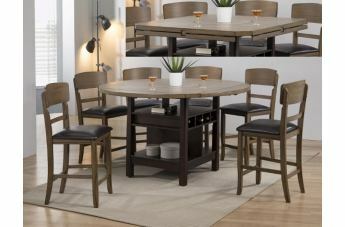 Make the Conner dining collection the focal point of your modern dining room.